This is my brother and future sister in law's wedding gift. I saw the tutorial for this on Sutton Grace and had to make one for them. You can find her instructions and downloads right HERE. 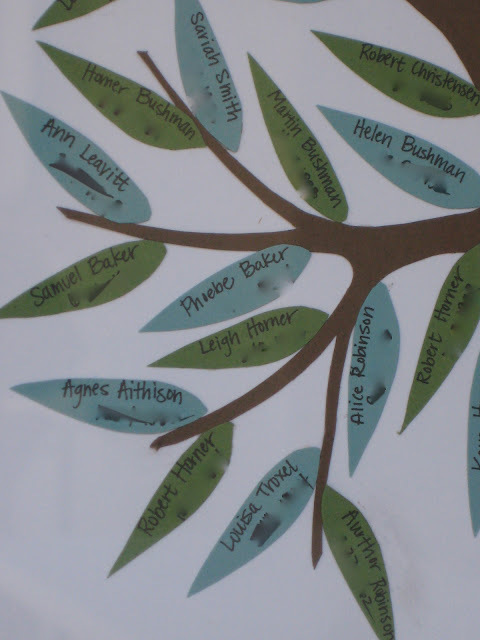 Here is a detail of the tree. I digitally smudged out the birthdates for some identity theft protection, even though most of the people on here are deceased. Congrats you two, can't wait to come for the wedding! Beautiful. You are so versatile in your crafty talent. Looks great! The matting choice is well done, too.